For the last 2 weeks I have been using 3 different laptop type devices. My ageing MacBook Pro, an Acer C720 ChromeBook and an Acer V15 Nitro Windows 8.1 laptop to see which one I will opt for once my MacBook dies completely, which won’t be long. 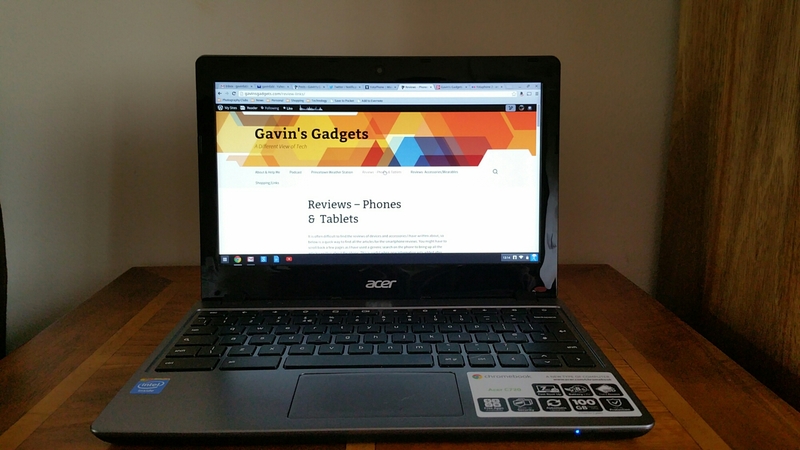 But what I am going to do today, is write my thoughts down on the Acer C720 ChromeBook,the Acer V15 Nitro in a different post, and then on a mini comparison between all 3 devices. 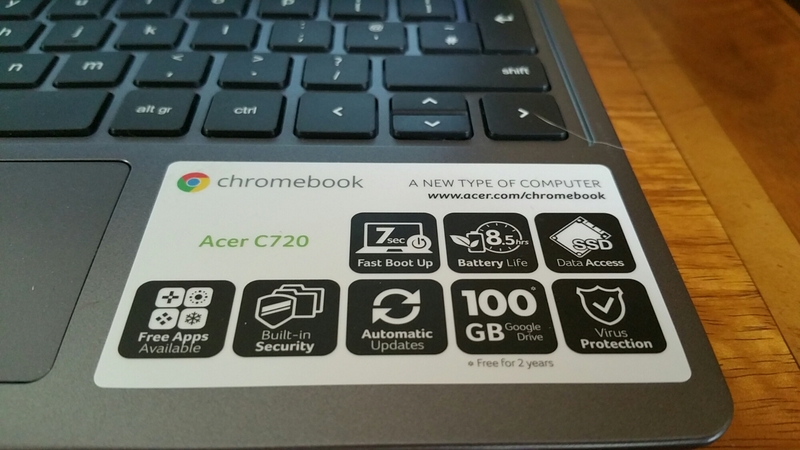 First lets have a look at the specifications of the Acer C720 Chromebook. Nothing spectacular in the specifications except for the choice of processor which helps provide long battery life of 8.5 hours. Other aspects of the specifications include a 7 second boot up time, Solid State Drive memory and free 100 GB of Google Drive cloud storage for 2 years. 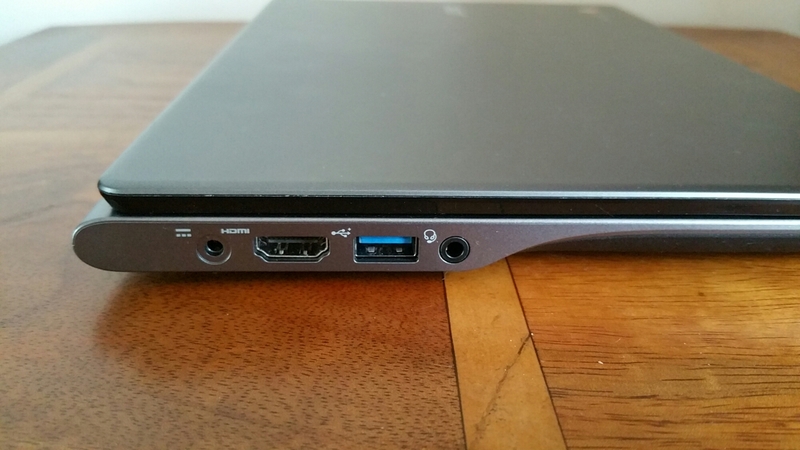 The C720 is also available in 32 GB SSD and another version which has a touch screen. The 16gb memory can be expanded by the of an SD card. Those are the specs but what do I think of the Acer Chromebook. Well, this is my first ever chromebook that I have used and it has been a revelation. My MacBook Pro is toast. Why? Well, the Acer chromebook only takes 7 seconds to boot up, and in reality it takes longer for you to enter your password than it does boot up! The battery life lasts far longer than my MacBook Pro. I recall one day of usage from 9am to 5pm on a Sunday. I had been using it constantly and looked at the battery life to find it was only at 29%. It is also lightweight enough to be great to lug around as well. But let me step back to the very first powering on. The Acer C720 just required my Google email and password and that was it. All my music, photos, files and documents were at my finger tips. The chromebook also has a guest mode, or if I decided to upgrade or sell the device on, all you have to do is go into settings, select “powerwash” and in a few minutes the device is cleaned and ready for its next owner. You can also speed up the entering of your password, by enabling smart unlock in the settings using your android phone. If it detects your phone is nearby it unlocks the chromebook. 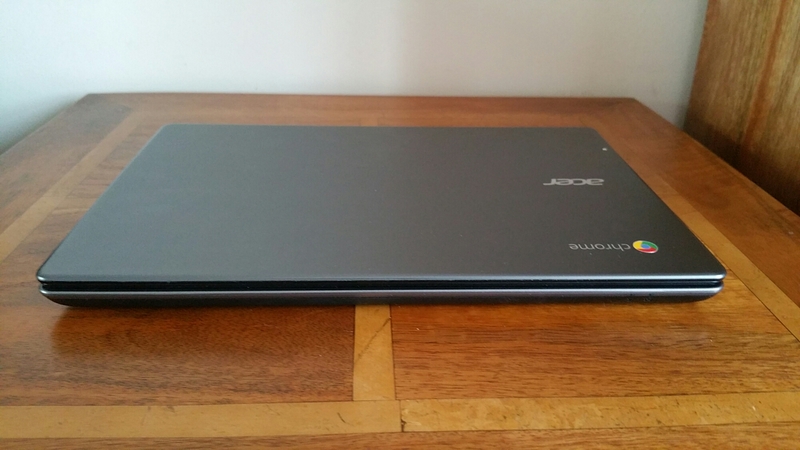 The Acer C720 has built in loudspeakers which were clear and concise. I plugged in my headphones and was very happy with the sound quality. In usage the machine is fast, really fast. Everything is smooth and I really have not enjoyed using a device so much in ages. I have not touched my Samsung Tab S since using the chromebook, and the Acer C720 has been most impressive in its endurance, speed and reliability. Printing. Fortunately I have a HP wireless printer that comes with cloud printing out of the box so there was no issues getting documents printed from the Acer Chromebook. Cloud Printing uses your printers unique email address to send files for printing. I wanted to transfer photos from my smartphone to Chromebook. I found that the easier wireless method was using an app on my android phone called Photosync (the app has versions for ios too) and opening a special http page on Chrome was able to see my directories with photos and copy them across. This was the only item that required a bit of a workaround. Other than that I have had no issues with productivity using the Chromebook. Based on my few weeks use I highly recommend this device is you are using Google services. It just works so effortlessly and has been a competent machine too. My thanks to Acer for the review unit too. But that’s because your MacBook is old now. 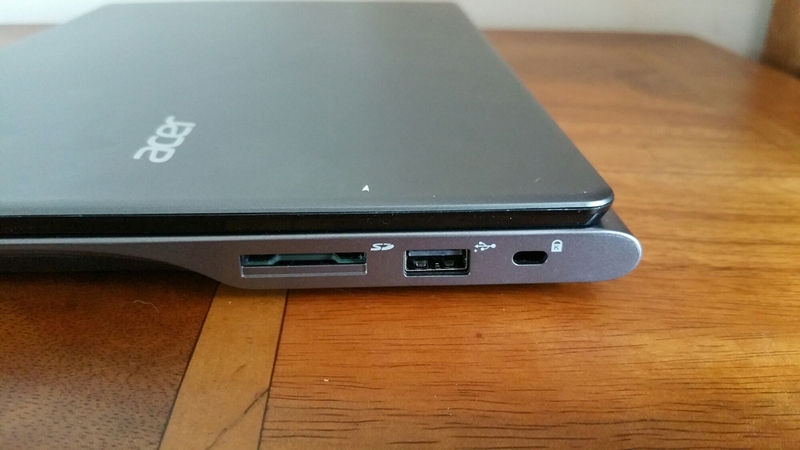 If you had the latest generation then it would more than likely out performe the chrome book. Even updating to a SSD In your Mac and a clean install will yield similar results.